Automated tests: Why? How they help? Who needs them? There are many types of automated tests out there. Let’s see the most used types of tests and understand how each one is useful. Unit Tests are isolated, focused on methods and classes. White box tests. Integration Tests are for checking how two different modules integrate. Black box tests. Integrated Tests are big, large tests showing how many modules integrate, with a business purpose. Black box tests. Acceptance Tests are showing that a features works well. Black box tests. 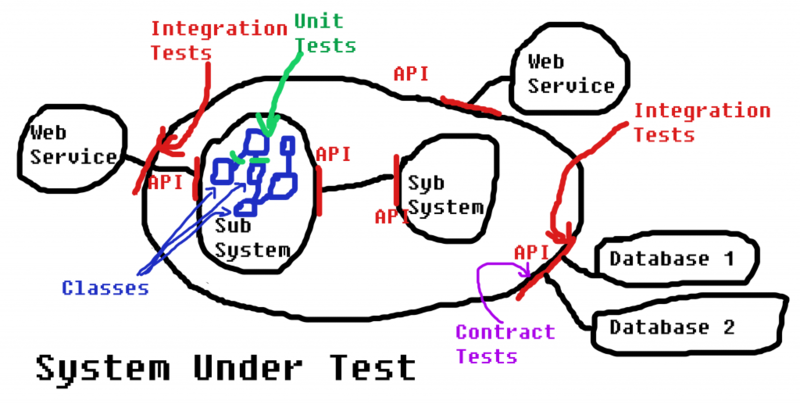 Contract Tests are a special type of tests, that verify polymorphism integration of multiple components or classes. Let’s take them one by one in detail.